There is one review of Into the Void. 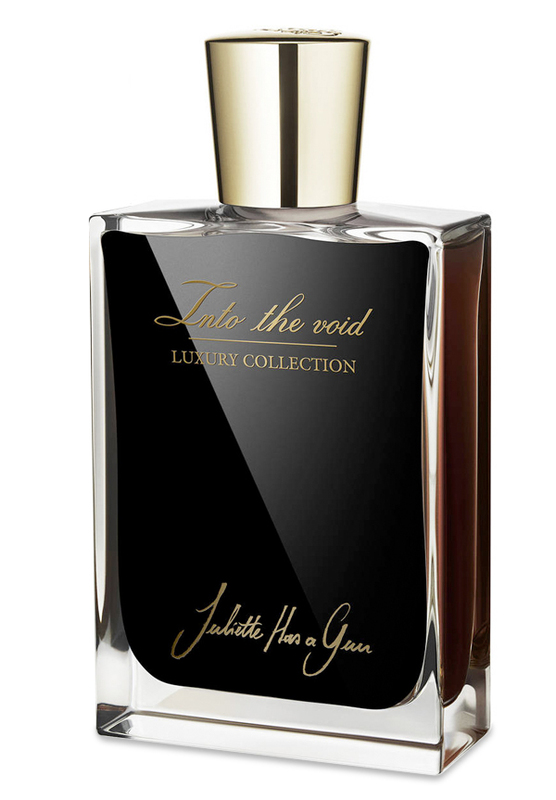 Into the Void is an unusual blending and a bold artistic achievement in fragrance creation. The licorice cold glistening anise note blends seamlessly with papyrus, cedar, patchouli and guaiac for a deep mysterious hollow shimmering woods aroma that is the opening and heart of this scent. The licorice effect is similar to the mentholated narcotics of SL Tuberose Criminelle. Black orchid adds a husky warmth coupled with tonka the contrasts with licorice woods with a dusty warmth. The base is a medium patchouli undercurrent that is mellowed with ambroxan and a woody dryness of norlimbanol seems to reinforce the dry grainy floral orchid. For my taste I could do without norlimbanol and less orchid, but the patchouli does overcome these in the end. Into the Void is a very powerful fragrance, but applied lightly its darkness becomes a chilling woody presence. If applied strongly the floral aspects get a little too vivid for my taste. "The force is strong with this one". There are no member images of Into the Void yet. Why not be the first?